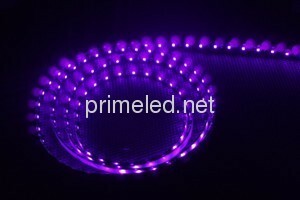 Purple 400-410nm Purple UV LED Strip lights 12V come with 400-410nm, 3528SMD, 60/120LEDs/M, 12/24V input, as well as slim and flexible PCB, which is terrific for decoration and DIY use., especially, welcomed for glass art, home theaters, media rooms and like that. > Long lifespan of 50,000 hours. 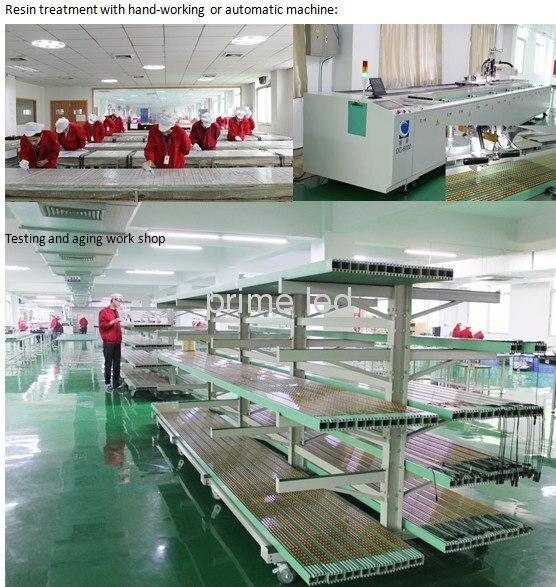 D) Waterproof type with silicone jacket and Gel inside, IP67. 1. Can we cut the Purple 400-410nm Purple UV LED Strip lights 12V in short pieces, and re-joint? 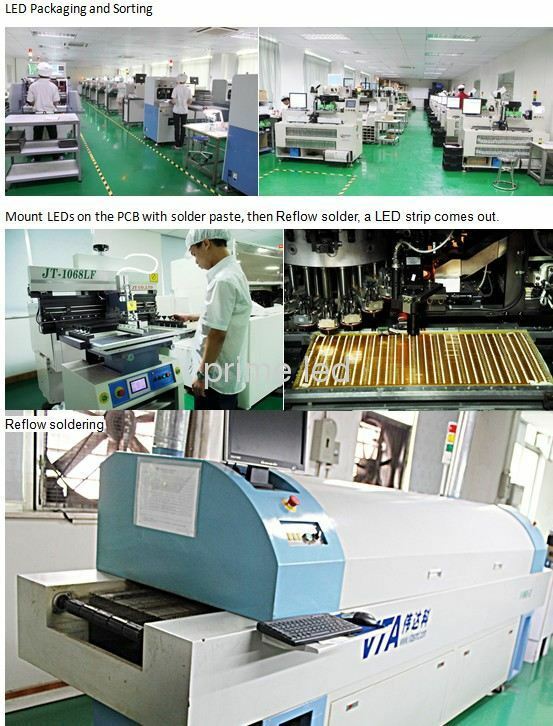 Yes, can be cut in every 3 LEDs, minimum, and can re-joint with cables. 2. How Can I make them dimmable or color-changing? 3. How can I do with them to work at 10meter long or more? 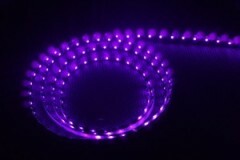 How Does a led strip light come out?